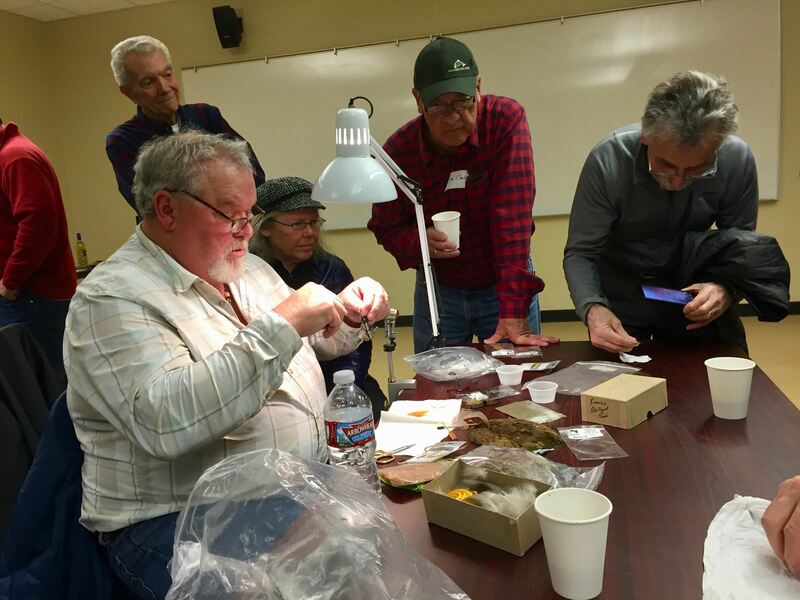 Sunriver Anglers - FEBRUARY MEETING - "TIE & PIE"
FEBRUARY MEETING - "TIE & PIE"
February 21st will mark SUNRIVER ANGLERS Fourth Annual Tie & Pie meeting at the SHARC. We will have a few volunteer club members as well as a couple of expert Fly Shop guests demonstrating how to tie their favorite flies. Please join the fun and bring your friends to watch how hooks, feathers, and thread can become works of art that can fool even the pickiest of fish. While witnessing the flies being tied, enjoy a piece of pie and some hot coffee, and get to know some of the other club members.